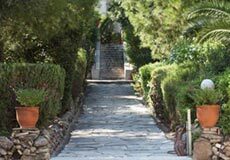 The British School at Athens offers two fellowships (for either a full year or 6 months) for postdoctoral or advanced doctoral or research in any area covered by the School’s mission statement. By historical convention these awards are referred to as ‘Studentships’. Applications are open to researchers engaged in advanced postgraduate or postdoctoral research at UK universities. 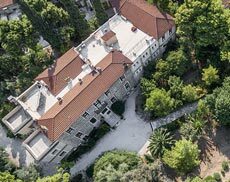 The School is both the primary centre of British research in Greece for resident and visiting scholars and a hub of international research through its programme of seminars and conferences. It is the co-ordinating body for British archaeological fieldwork, and possesses outstanding Library facilities in many fields, as well as the Fitch Laboratory for science-based archaeology. The successful candidate will demonstrate high standards of academic excellence and will be conducting genuinely innovative research either in an established discipline, or of an inter-disciplinary nature. Candidates should have completed at least one year of doctoral research by the time they take up the award. Holders of AHRC or equivalent awards eligible for overseas study support within the terms of their grant will not normally be considered. During their tenure of an award, students are expected to be resident in Greece for a minimum of eight months. 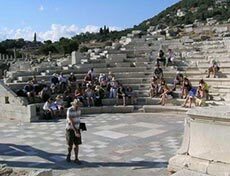 When in Athens, they must reside at the School and will be expected to contribute to its scholarly life and administrative operation. The holders of awards may re-apply for a second tenure, subject to academic performance. The fellowship is funded at the AHRC’s London-based rate for postgraduate awards. Applicants should submit a CV and research proposal (maximum 1,000 words) which includes: a brief statement of the research question or questions, an outline of the overall research programme in its scholarly context, a timetable for completion, and the benefits for the research of residence in Greece based at the School. Two references will be required. Applications are automatically considered for both the ‘Macmillan-Rodewald’ and the ‘Richard Bradford McConnell Studentship’. Applicants should ask referees to write directly to the School Administrator by the deadline. Applicants should be prepared to attend an interview in London in May/June. Applications and references must be sent by Friday 19th April 2019 to the School Administrator (school.administrator@bsa.ac.uk).